SOS is a high energy ABBA show. Performing greatest hits from the Swedish super-group mixed with a selection of the hottest disco tracks from the 70’s, SOS creates a show that takes audiences on a wild ride back to the party decade where ABBA ruled the dance floor! Armed with fantastic costumes, incredible vocal talents, animated ABBA dance moves and crazy Swedish accents, SOS create a show that is both exciting to watch and even more exciting to be part of. For years the members of SOS have been leading a double life. 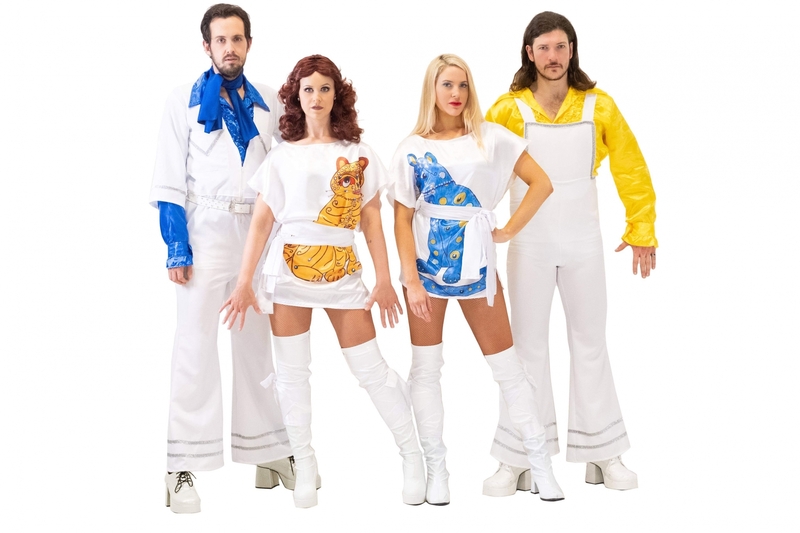 By day mild mannered musicians by night crazy ABBA fans, With a healthy love of all things Swedish and an obsession with 70’s disco music, they banded together to obsessively re-create the sound, music and look of the Swedish pop sensation ABBA. Walking out on stage, they leave behind their every-day lives and transform into the rock superstars - Bjorn, Benny, Agnetha and Freda.